Order within the next 12 hours 37 min. hours and your package will ship TODAY. 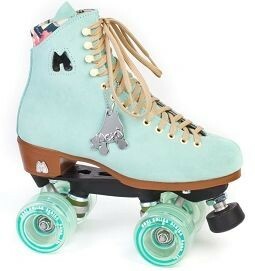 MOXI's are colorful RollerSkates in trendy retro look that can be used outdoors as well as indoors! The very high quality upper is made of suede, the lightly padded inside is covered with soft micro fiber lining. Furthermore, the lining is printed in colorful 80's style. 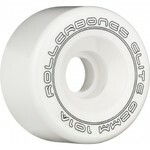 The extra padded tongue provides comfortable fit. The Skate is optical spiced up by various applications such as: the contrasting eyelets, Metal M on heel and the punched M at the top of the right boot. The strong POWERDYNE Thrust Nylon Plate is equipped with the POWERDYNE Round Toe Stop. The Moxi Gummy Wheels in combination with the KWIK ABEC 5 bearings provides a high level of skate-fun no matter on what surface.